The Transylvanian fortress known as Dracula’s Castle was illegally to an heir of Romania's royal family, lawmakers said and called on authorities to launch an investigation into the restitution. Lawmakers voted that the process had been illegal, citing procedural errors. They said by law the castle should have been transferred to private ownership before being given back to its former owners in May 2006. Parliament also argued that five successors were eligible, not just three, Archduke Dominic Habsburg and his sisters Maria-Magdalena Holzhousen and Elisabeth Sandhofen. Two other siblings signed over their rights on the castle. Habsburg, who is from North Salem, New York, is the owner who who initiated the restitution process. He has called parliament's recommendation political and has threatened to sue the Romanian state. 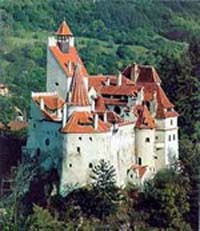 The debate divided politicians, with some saying the restitution should not have taken place, because Bran Castle is an important tourism asset for Romania. Others said that returning it to its owners is justified reparation for misdeeds carried out under Communism. If an investigation takes place and ownership is disputed in a Romanian court, then Habsburg can have his rights stripped, at least temporarily, in Romania. In a letter released last week, Habsburg's lawyers said he would file a lawsuit for US$210 million (EUR148.8 million) in damages if parliament voted that the restitution and sale plans were illegal. Supporters of the restitution said the matter will be solved properly by another court, including the European Court of Human Rights, which in recent years has passed many decisions requesting the Romanian state to either return properties or to buy them from the legal successors of their owners. Culture Minister Adrian Iorgulescu who supported the restitution, accused lawmakers of "communist-like" practices and said that the vote was based on "emotions". Bran Castle, which has featured in many movies, had been given in 1920 by the town of Brasov to former Queen Maria, Habsburg's grandmother, in exchange for good deeds done by the royal family, which ruled Romania from 1866 until the Communist era. Maria gave it to her daughter Princess Ileana when she died in 1938. The 14th century castle was confiscated by the Communists in 1948. Habsburg, 69, an architect, pledged to keep it open as a museum until 2009. He offered to sell it last year to local authorities for US$80 million (EUR56.7 million), but the offer was rejected because of the high price. "I live once more with the feeling of dread in which I once lived, as a child, when my family and I were forced out of our home and thrown out into the streets in midwinter," he said in a letter addressed to parliament urging lawmakers not to allow "such a dreadful injustice to happen." Bran Castle, perched on a cliff near Brasov in mountainous central Romania, is a major tourist attraction because of its ties to Prince Vlad the Impaler, the warlord whose cruelty inspired Bram Stoker's 1897 novel, "Dracula." Bran Castle was built as a fortress to defend against the invading Ottoman Turks. About 450,000 tourists visit it every year.